The Apple iPhone 4 finally found its way to Verizon after years of speculation and Apple has already made a software update available due to a few bugs that arose as the data began to flow. The problem has to do with data consumption reports for users who are taking advantage of the newly added 3G mobile hotspot capabilities. 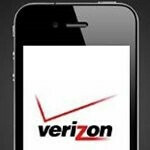 The new iOS 4.2.6 update ensures that the data will be reported correctly, which is especially important given the data cap Verizon has in place. Just as every other iOS update, all you have to do is plug your device into iTunes and hit update. It will take some time, but that is to be expected. Tell us what you think in the comments below. I personally would find it annoying having to use my computer to constantly update my phone. Cause having the choice to plug it into your computer when you want is bad. Its much better to be forced to take the update over air ie verizon/droid. Wow... What a response... But I would hate to have to upload it over the air, that's so inconvenient. I mean, I have to hit a button and hit upload. The speeds are so much slower, oh wait... You can use wifi to download the update, so it's faster. Hmm... Ok.. So what's the downside to the OTA update? Not everybody wants iTunes installed on their computer? I know I sure don't. How about the Blackberry, it allows for either OTA or USB from computer. How many people plug it into the PC to update anymore? None... "forced to take the update over the air", haha.. You are a true Apple Fan Boy. You would buy a brick if it said iPhone on it. my verizon iphone4's speker only the right hand side one have sound,the left hand side one is no sound at all is that normal or someting wrong!!!!! @up - Easy Kevin. It's OK. There is a mic, not speaker. One side is the mic and the other is the speaker. iPhone only has one speaker. i have used iphone 3G, 3Gs & 4. All have same kind of only one speaker phone. The other side does look like speaker, but it doesn't actually. But its an iPhone! Who cares if it has a disfunctional speaker! I Phone is the smoothest and best use what you like . I have used all droid x , Fasinate, Droid. Increddiable( I cant spell) I am glad to have I phone now will not change for a long time. I am Happy. Hope you are as happy with yours as I am mine. I have not seen this issue with my device.... I do have a case though.